Cottagesure is a bespoke solution specifically created for owners of individual holiday homes and holiday cottage complexes throughout the UK. The product is regarded as market leading in respect of the particularly wide cover it offers, all at a competitive premium. The policy is underwritten by global award winning Insurer – RSA. Once you have created an online account you will be able to access your quotation or policy documentation. Please click here to login to your personal account area. We're committed to providing a fully managed claims service so help is at hand when you need us most. Telephone: 01803 652065 during office hours (Mon–Fri 9am–5pm), or email claims@paveygroup.co.uk. Out of office hours, please telephone the Insurers 24 hour Claims Helpline on 0345 300 4006, quoting your policy number which can be found on your policy schedule. 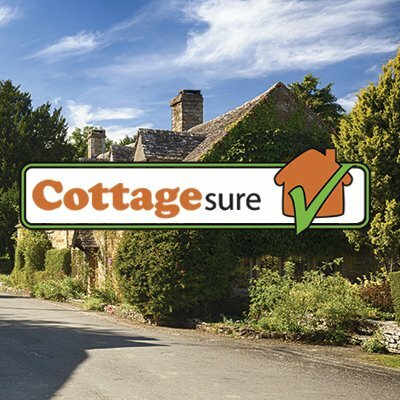 The Cottagesure insurance scheme is personally handled by a dedicated team of qualified insurance advisers who specialise in the Leisure and Tourism Sector. We pride ourselves on our friendly professional service by staff experienced in the holiday let sector. Collectively the team has over 125 years experience. Kerry & Lou from our team are at the @ERBIDCo today - Stop by and say hello! Pavey Group is a trading name of Pavey Group Ltd. Pavey Group Ltd is authorised and regulated by the Financial Conduct Authority. Registered office: The Walbrook Building, 25 Walbrook, London EC4N 8AW. Registered in England & Wales. Company Number: 3419086. Pavey Group Ltd is part of the Gallagher group of companies.